Let's Build Your #milliondollardogbrand... Together! A LIVE 8-week program to help you discover and clarify the ‘why’ behind your brand and business. Along the way you'll get step-by-step help to build the 4 essential tools that you’ll need to communicate effectively and convert the people out there who want to find and hire you. 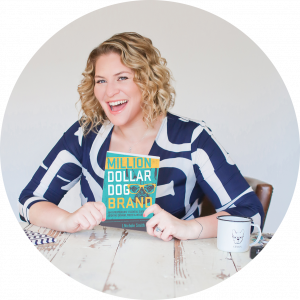 Using the tools outlined in the Million Dollar Dog Brand book, Nic will personally walk you through finding and expertly crafting the ‘why’ behind your brand. Everything you do in your business that leads to revenue is marketing. The success of your marketing, believe it or not, does not depend on how much you know about facebook ads or google analytics – it 100% depends on your ability connect emotionally with your ideal customer. To connect emotionally with your target audience – you need to know, feel, eat, sleep, breathe and ooze your ‘why’. To do that, you need to know what it is! J.Nichole Smith knows a thing or two about building Million Dollar Dog Brands. With a decade of hands-on experience helping to build successful pet brands and a Masters in Marketing from one of London’s top business schools, Nic's somewhat magical brand instincts are fiercely honed. 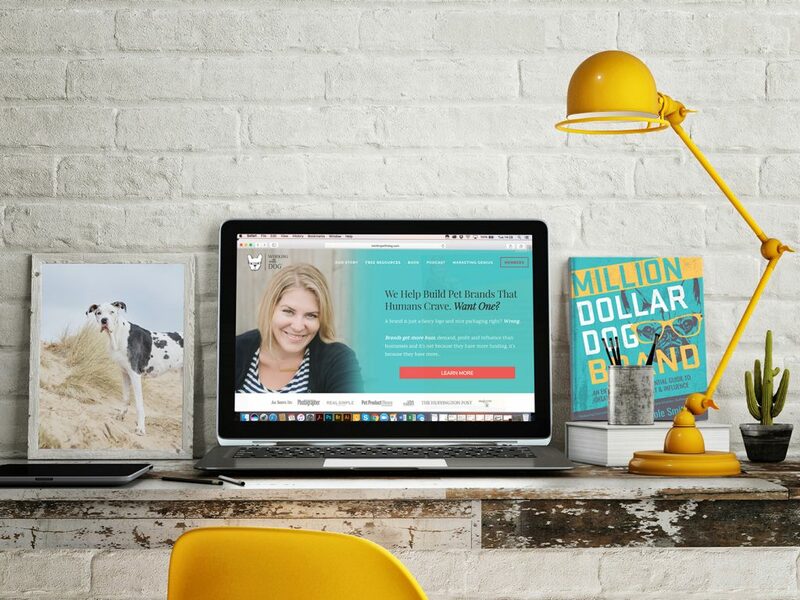 Nichole is one of the most uniquely qualified branding experts and teachers in the pet industry... I mean, she literally wrote the book! “Here’s my most recent “Nictopia” moment, you know, that moment when chatting with Nichole and everything suddenly becomes painfully clear: Just because others say you are good at something, or because there is a great need for it, or because it may be the one thing that will separate you from the rest, or maybe everyone else is doing it, or maybe it is the one thing that will pay your bills without fail, or maybe you just feel like it is the one thing you have to do or else, you’ll fail… But doing this thing makes you… anxious, depressed, insecure, unhappy…. “fill in the blank”. If it robs you of your time, drains you, leaves you stressed and/or you downright hate doing it… Guess what, you *don’t have to do it * We are allowed to evolve and change. You call the shots. Life is too damn short to be chained to the “thing” you hate doing. I’ll be doing some re-evaluating, EFT tapping and meditation, confidently finding my next step, with my dog by my side. Love you Nic ❤"
“I had my first 1:1 with Nichole tonight and I’m super excited and feeling so hyper inside that I can’t concentrate. I was really struggling mainly to refine myself and how this translates into my business and it was there all along. I knew it, but it just hadn’t clicked and now I get it and it makes sense and its totally me. She really has a way of just drawing out the information and is so, so smart. I don’t think I would have got there or seen it myself as I was trying to define it somehow. I know this is all a bit vague but I’m excited to share once I work it all out. I just wanted to share how valuable that 1:1 was! I now have my direction and it feels right. Thank you Nichole! "I had my 1:1 with Nic on Thursday. I went upstairs to my bedroom and closed the door. I told her all my thoughts and feelings and what I had been discovering. and then she did what she is amazing at- I can’t even describe what it is really, but she worked her magic with hints and ideas… and then BAM! Lightning struck me!! I found my why!! Holy crap. It just all came together in an instant. Apparently I screeched or screamed because I remember now that my husband called from downstairs asking me if I was okay haha! but I was too excited to answer him. THANK YOU NIC!!! thanks for lighting me up! I cannot wait for what comes next! We have a live call every two weeks (so you have time to do your homework) for 8 weeks. In addition to the live course AND two one-0n-one consulting sessions with Nic (these alone are worth $1000) you will get 3 months FREE membership to Working with Dog (instant access to our amazing private community) - so you'll have full support from fellow petpreneurs who have gone through this process and can offer amazing insights. We do our best to make sure the calls work for everyone to attend live - but of course it's impossible to have live calls at the time that's right for everyone, everywhere in the world. Don't worry if you're going to miss a call, all our lessons and Q+A sessions will be recorded and uploaded for you to watch & keep (past participants have enjoyed watching recordings from their live calls over again when they need a refresher, so this is a real bonus!) These calls are very interactive, so you'll want to watch them and do the work during the call, whether you're watching it live or not! Due to the one-on-one offering involved in this program, there are a very limited number of spaces available. This is not some huge launch where an online program is sold to hundreds of people, this is an intimate, bespoke experience. Historically, because of the quality and affordability of Nic's bootcamp programs - they have sold out very quickly. This program sells out fast - so do not miss out! How satisfied were you overall with book club? Did you make use of the Facebook Group? What was your one goal in Book Club? Did you accomplish your one goal? I am much farther along, I'd say yes, I did. I also know that is an every evolving process & now I have much better tools top keep at it! Tah Dah! Yes, by the last call I was openly talking about my brand and was meeting people that I could definitely pursue partnerships with in the future. Yes, indeed! I'm so happy I know why I do what I do and what drives me! 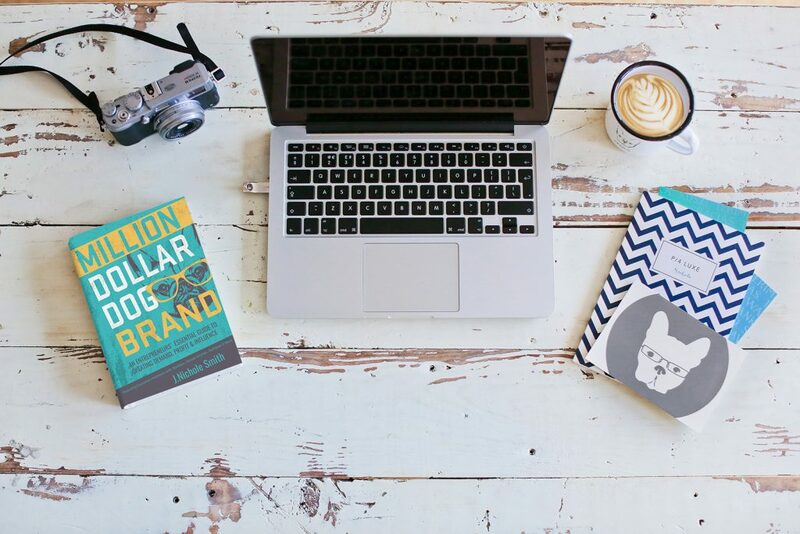 How much do you think your Book Club participation will impact your ability to confidently move forward with your current or new brand? 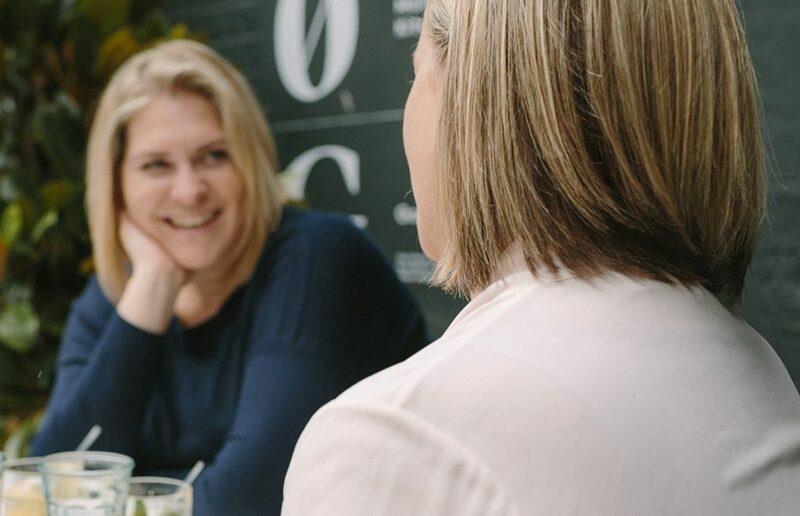 Did you encounter any surprises, ah-ha's or lightbulb moments during Book Club - if so, care to share? I actually had a sweeeet lightbulb moment about something I'd been beating myself up with. Now I am over Surviving and ready to Start Thriving! After the first class I finally realised that I have always had a much bigger dream and it was time to work towards making it a reality. I think there was one ah-ha in every call! On the very first call, you validated the idea that I can create what I want to create, and not feel like I always have to create what others want me to create. On the last call, you threw out this little gem: "I can't love you if I don't know you." And it was really good to work through our 3 points of difference and the brand statements/origin stories. Feels like I walked away with a few things actually accomplished, rather than an expanded list of to-dos. That's probably a really good draw for future book clubs....the promise of walking away with a little branding arsenal already completed...points of difference, tagline, brand statement, origin story, social media bio. I found clarity!! When that happened my brand evolved and I realised where my space is in the market. Yes! I just needed this course to confirm it for me!